The 24th Annual Screen Actors Guild Awards took place last night. This award season, the winners are becoming predictable, with wins for Frances McDormand (Best Actress) and Sam Rockwell (Supporting Actor) for Three Billboards Outside Ebbing, Missouri. The film also won Outstanding performance by a Cast in a Motion Picture. Gary Oldman won Best Actor for Darkest Hour while Allison Janney won Best Actress for I, Tonya. 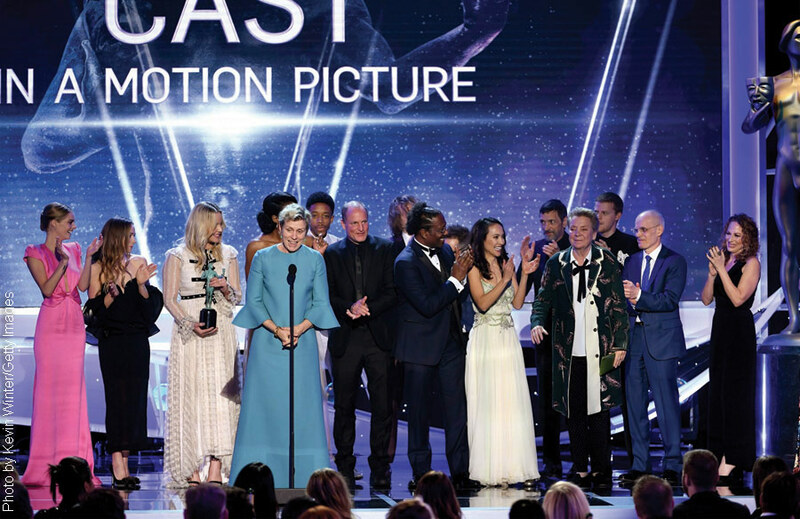 On the television side, as expected, HBO’s Big Little Lies took home the big trophies as Alexander Skarsgård and Nicole Kidman won Best Performance by an Actor in a TV Movie or Limited Series. The big surprise of the night was when NBC’s This Is Us won Outstanding Performance by an Ensemble in a Drama Series. They were quite surprised with the win, given Hulu’s The Handmaid’s Tale has been scooping this award at other shows. Even Elisabeth Moss didn’t win for her role on the show as she had at the Golden Globes and the Critics Choice Awards. Instead, The Crown‘s Claire Foy took home the trophy for Outstanding Performance by a Female Actor in a Drama Series.